1. 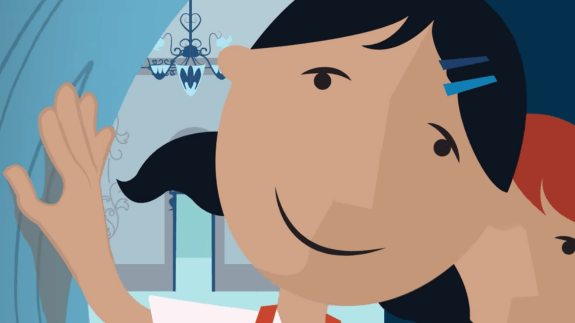 Give students time for innovation project-based learning — and keep a light touch with support. The first way I tried to implement Student Innovation Projects was to use 20 percent time. I gave one class the chance to work on any project they wanted. It went very well and students created some interesting projects they were passionate about. The one obstacle I faced was trying to find balance in helping too much versus not enough. One project that came out of this group was a way for students to scan their ID card when they leave the room with a pass and scan when they get back to keep an accurate count of who is in the room. The scanner is connected to a Raspberry Pi and sends the info to a Google Doc. Our Superintendent saw the student presentation and wants to see this piloted in our schools. The students are currently working on this as an Independent Study with my support. 2. Give students parameters around technology — and the chance to work on any project they want. I really wanted to give students opportunities for innovation outside of my classroom. It is one of the reasons why I worked hard to create the Makerspace in our library. 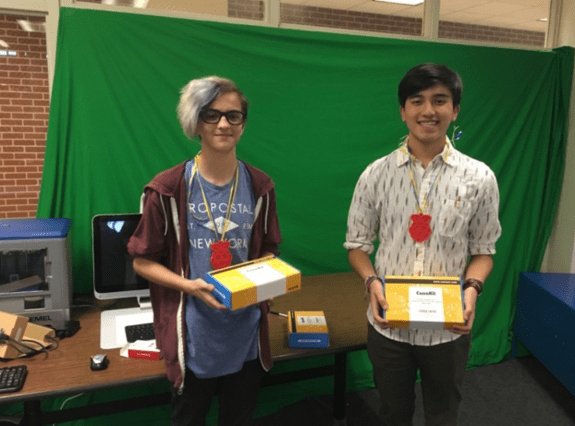 After becoming a Raspberry Pi Certified Educator, I thought it might be cool to see what students could do if they were given Pi and asked to identify a problem and come up with a solution. After a few weeks, the students blew us away. 3. Host a STEAM competition to show off the student innovation projects. A web-based application that will allow a person to turn on/off any device that is plugged into their system. It could be lights in your room or the coffee pot in the kitchen. Just login and turn them on or off. A wifi based garage door opener that could eventually have a detector that can notify you when it is opened or closed. A wifi connected robot rover that can take pics and record video. 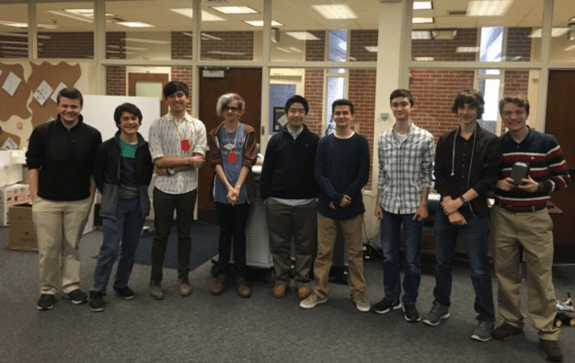 The winning project was a Raspberry Pi connected to a touch screen monitor that allows people to enter in their medication and the times they need to take it. The screen then starts a countdown and will notify people when it is time to take their next dose of medication. Future extensions will have text capabilities. I loved watching all of these students share their projects and what they learned along the way. All of them talked about the failures and frustrations, but also the excitement that followed when they got an innovation working. It was also fun to hear other students ask questions and offer suggestions for projects. It was a very nice collaborative atmosphere for the students and it all took place in our school’s Makers Lounge. Overall, I think this was a huge success. It made me so happy to hear that students were teaching themselves how to code and learned so much along the way. You can’t make students innovative, but you can give students the opportunity to explore and learn along the way. More often than not, students will create something innovative they never thought was possible. Hi – read your article and am interested in trying this out in Health classes. 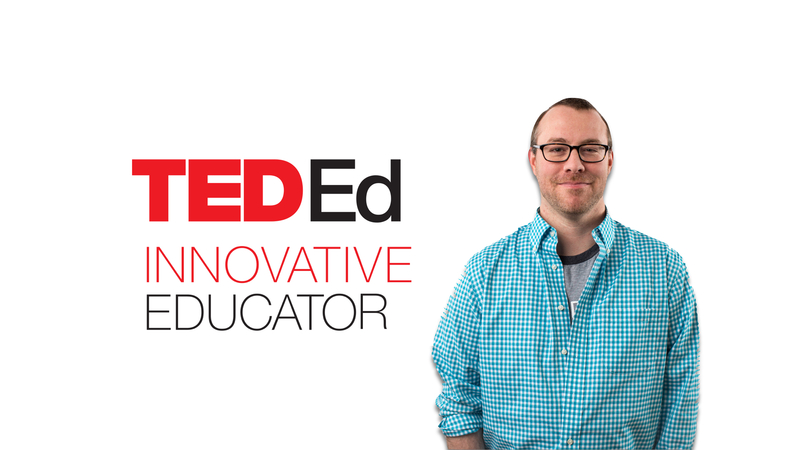 Nicholas Provenzano, a high school English teacher in Michigan, is a participant in the TED-Ed Innovative Educator program. If you plan on replicating a version of this innovative project in your community, let Nick know!